Nebuchadnezzar II (Born::635 BC-vr. Viceroy_from::607 BC-r. 605 BC-562 BC) (Akkadian: Nabû-kudurri-uṣur; Hebrew: נבוכדנצר, Neḇūḵaḏneẓẓạr; "Name means::Nebo, Protect My Eldest Son or Nebo"), or Nebuchadrezzar (Hebrew: נבוכדרצר, Neḇūḵaḏreẓẓạr) as the Prophet Jeremiah spelled his name, was a king of Babylon in the Chaldean Dynasty and final conqueror of the Southern Kingdom of Judah. He was the first of many heads-of-state of foreign superpowers to come to a possibly salvific knowledge of God. Ancient and modern historians have traditionally nicknamed him "The Great." The Septuagint spells his name as Ναβουχοδονόσορ, Nabouchodonosor. Different sources variously report the year of Nebuchadnezzar's birth as 630 BC or 635 BC. He was married, or at least betrothed, in 626 BC, to husband of::Amyitis, daughter of Astyages, who was the son of Cyaxeres I, King of the Medes. This was part of a military treaty that his father son of::Nabopolassar made with Astyages. This union produced at least one son, named Amal-Marduk or father of::Evil-Merodach, and a daughter, whose name is unrecorded. In that year, the two allies attacked the Assyrian capital of Nineveh and reduced it to a ruin, as the prophets Isaiah and Nahum had predicted. Afterward, successor of::Nabopolassar reigned in newly-independent Babylon for twenty-one years. On 1 Elul (Accession::September 7, 605 BC) he laid undisputed claim to his throne. He was anywhere from twenty-five to thirty years old at this time, and he might at this time have ceremonially consummated his marriage to Amyitis, who now would carry the title of "queen." Persistent legend credits him with building a magnificent garden, called the Hanging Gardens of Babylon to this day, but this legend has no archaeological warrant nor even any contemporary record. The Hanging Gardens were supposed to be a present to Amyitis, who would at least have something to remind her of her girlhood in the hill country of the Medes. He died in 562 BC (possibly in October), after reigning forty-five years altogether, including his two-year viceroyship under his father. This date is universally accepted and attested, and remains the sole reliable benchmark for the synchrony of Biblical and secular chronology. His son succeeded by::Evil-Merodach reigned in his stead. Prior to Nebuchadnezzar, God had never seen fit to remove the Davidic dynasty completely from the throne of Judah—though the Northern Kingdom of "Israel" had gone through several different dynasties before Shalmaneser V of Assyria finally conquered Samaria and essentially replaced its population. 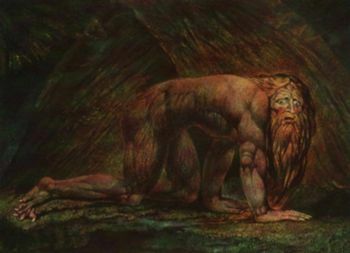 But Nebuchadnezzar was the first king essentially to replace a Judean dynasty as its governors--and ironically, Gentile though he was, was the first among them to "measure up" to God's desires. Nebuchadnezzar had no idea what sort of hostages Daniel and his friends would prove to be. The first hint probably came when Daniel and his friends refused the rich foods that were the standard Royal diet. (This happened in the fourth year of Jehoiakim). Daniel laid something of a wager with the chamberlains: that he and his three friends would do better on a diet following Levitican precepts than on the Royal diet. The nutritional value of the "Kosher diet" is well-known even today, and it must have served Daniel well enough, because when Daniel and his friends appeared at court, they proved more intelligent and better able than anyone else present. Nebuchadnezzar rewarded them with some very senior ministries in his kingdom. Nebuchadnezzar was not convinced so easily. A number of years later (Ussher gives no firm date for this) he set up a golden statue. This was either of the god Marduk (which we may infer from his earlier activity in rebuilding Marduk's temple), or it was an all-gold replica of the statue he had seen in his earlier dream. He then commanded that whosoever would not worship that image would be thrown into a brick kiln--literally, "burning fiery furnace." Daniel was away from the city at the time, but Shadrach, Meschach, and Abednego fell neatly into the trap. Nebuchadnezzar had them thrown in--and they walked out alive. Witnesses, furthermore, described a fourth man in the furnace with him--probably the Angel of the Lord Himself. The dating of the events in Nebuchadnezzar's career up to and a year after the Fall of Jerusalem is in sharp dispute. This dispute arises from the same source as does the ongoing Biblical chronology dispute between the opposing followers of James Ussher and Edwin R. Thiele. The probable source of the confusion concerns exactly what one means by the phrase "first year of Nebuchadnezzar." By tradition, the "first year" is the year that a king was granted the office of viceroy. 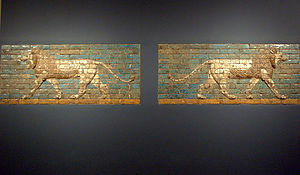 But if, as seems likely, Thiele interpreted "first year of Nebuchadnezzar" as the year that Nebuchadnezzar reigned alone, then he could be forgiven for surmising that a key intersection of Nebuchadnezzar's career with the history of the Southern Kingdom occurred in 605 BC, which was in fact the year that Nabopolassar died. On July 10, 2007, Prof. Michael Jursa (University of Vienna), while working at the British Museum, succeeded in translating a cuneiform tablet, dating to the tenth year of the reign of Nebuchadnezzar II, that makes a direct reference to one Nabu-sharrussu-ukin. This Nabu-sharrussu-ukin made a payment of 1.5 minas of gold (an amount that would weigh 0.75 kg today), to the temple of Esangila in Babylon. 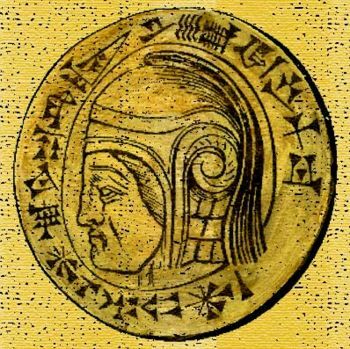 Nabu-sharrussu-ukin is also none other than the man named by the prophet Jeremiah and variously identified as Nebo-Sarsekim and Sarsechim, one of three ranking generals who were present at the siege of Jerusalem by Nebuchadnezzar.